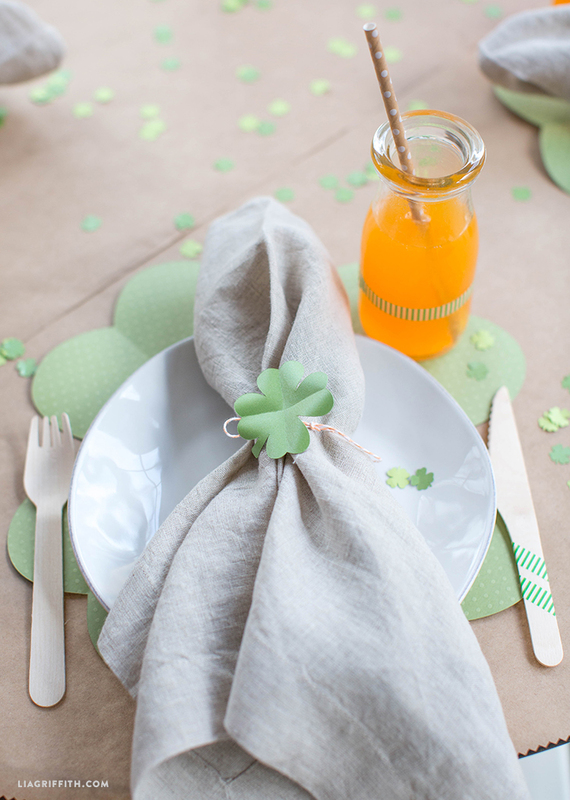 Hosting a brunch this St. Paddy’s day? 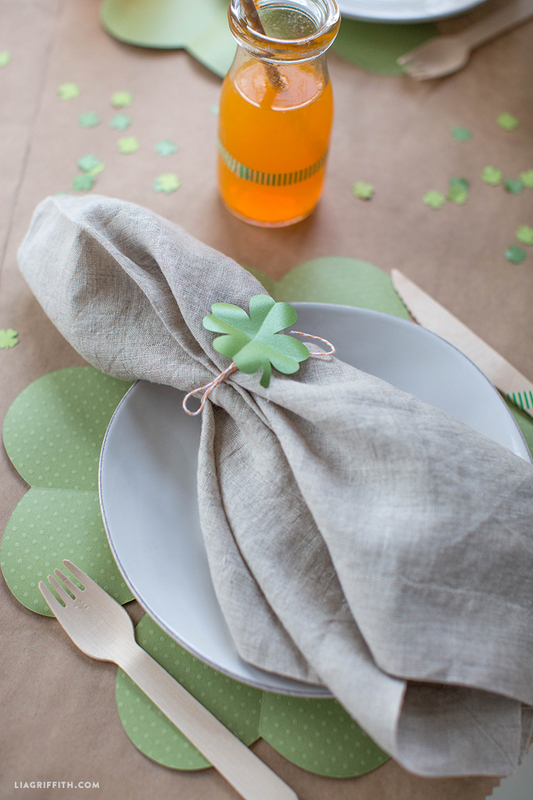 Deck your table in good luck charms! 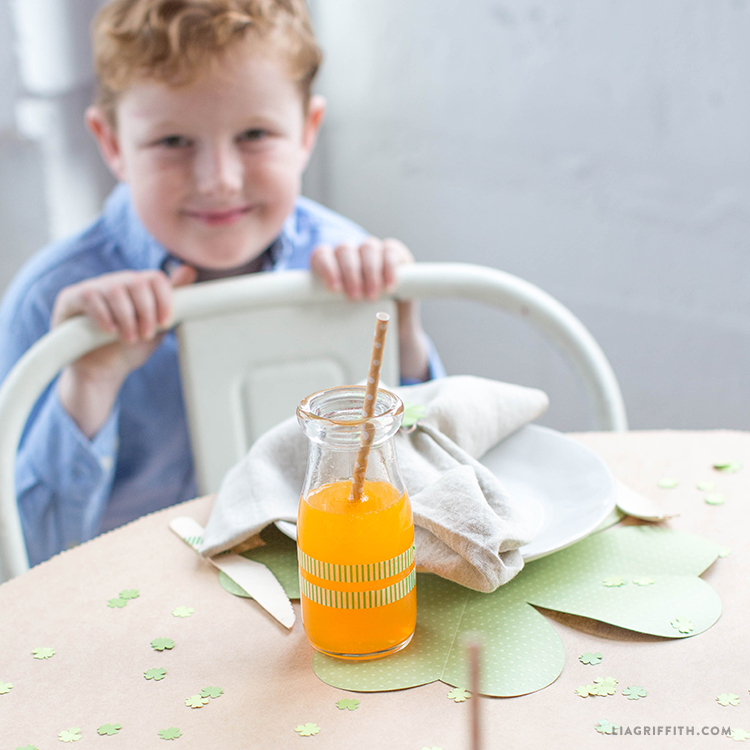 Today we’re sharing the pattern for these oversized clover placemats. Aren’t they fun? We’ve also designed some matching shamrock confetti for you to sprinkle to your heart’s content. And of course we made some straw toppers and napkin toppers for you too. They just add a little something extra festive to the setting, we think. 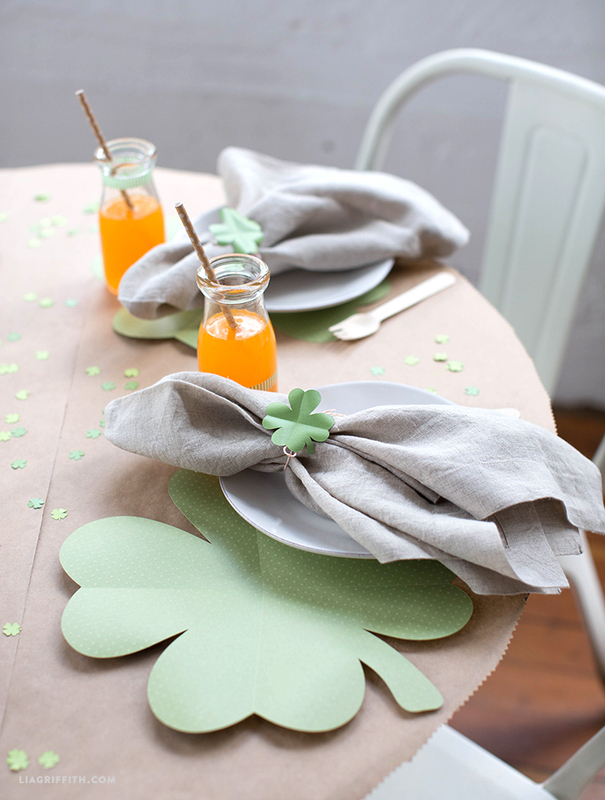 Our St. Paddy’s Day party décor is the perfect way to add a pinch of green to your dining table. 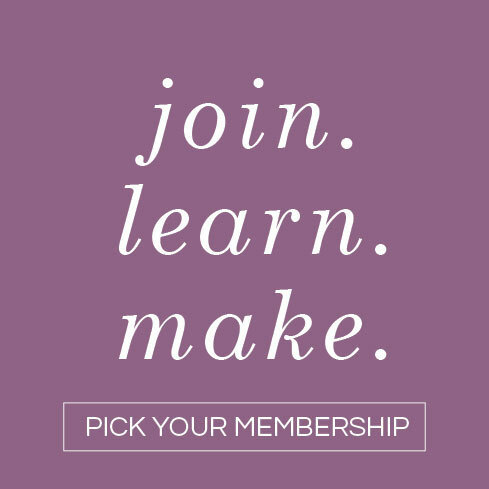 We’ve listed out everything you need and will guide you every step of the way. 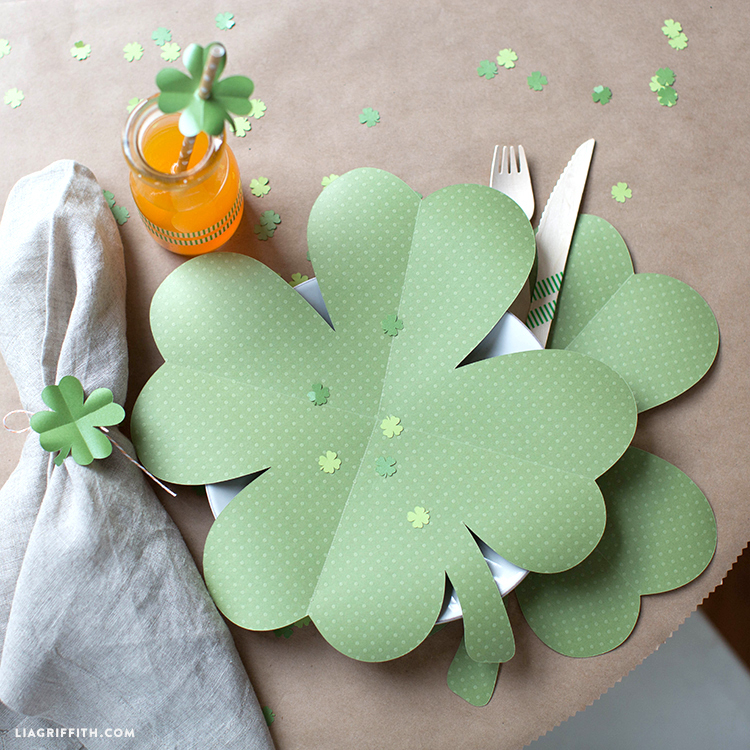 Just gather your tools and materials and follow along with the super simple steps below to make your own clover placemats, clover confetti, and clover toppers. 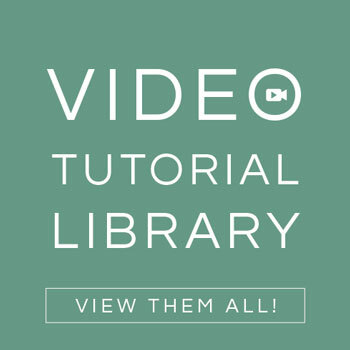 For this project we have included both PDF and SVG files. All you need to do is download the files below and cut out your designs with your cutting machine or by hand. Feel free to use the paper suggested above or various greens of your choice. 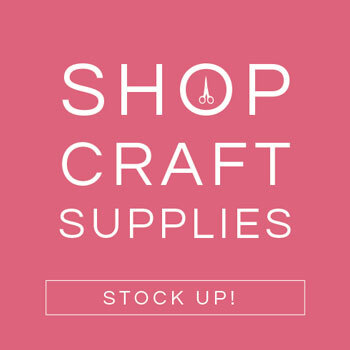 We are here to help you explore your creativity with daily inspiration, downloadable cut files, and printable templates to make crafting easier. We believe in the power of creativity to nurture the soul and to empower us. Our designs are created with simplicity in mind and we always strive to provide you with the highest quality DIY projects. Share what you’ve been up to by using #MadeWithLia — your creativity is our biggest inspiration!